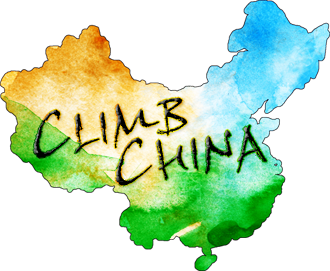 Climb China is both a travel guide and a climbing guide. 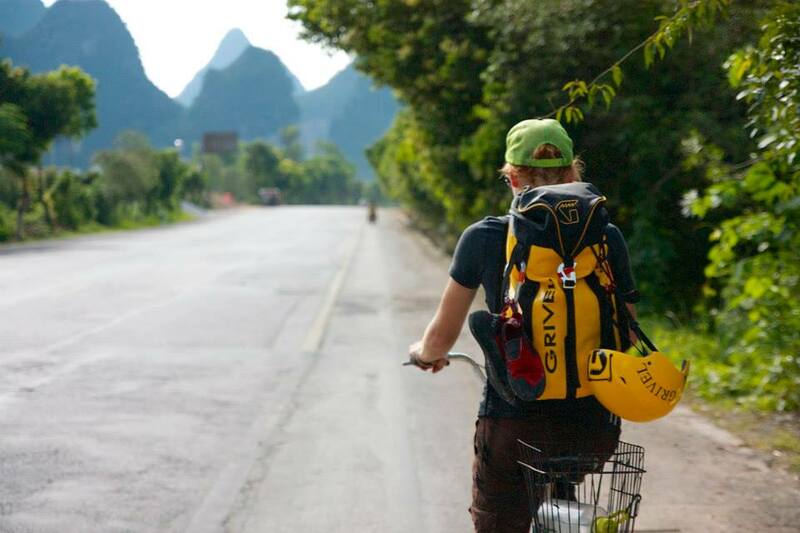 It has everything that a non-Chinese speaker will need to get from place to place. 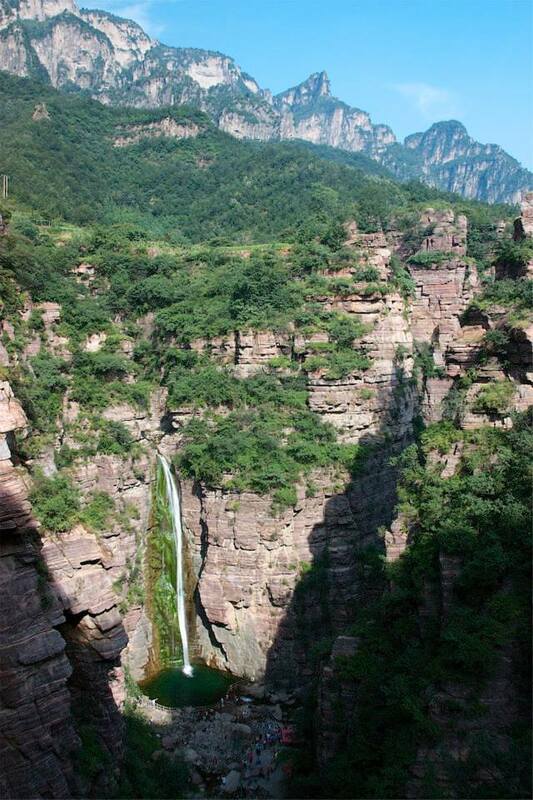 Our book has been written for travelers of all language levels. 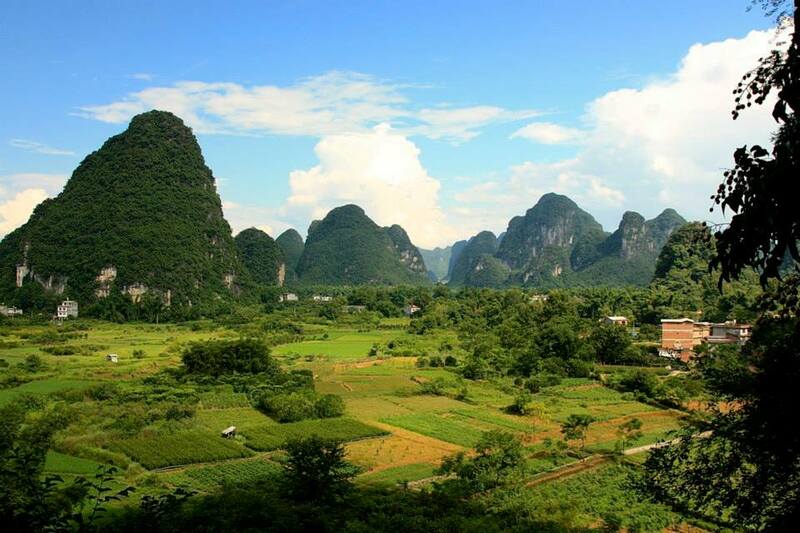 For those with little or no experience with Mandarin Chinese, we have provided Chinese characters so you can simply point at the book to buy train tickets or a night of lodging with ease. 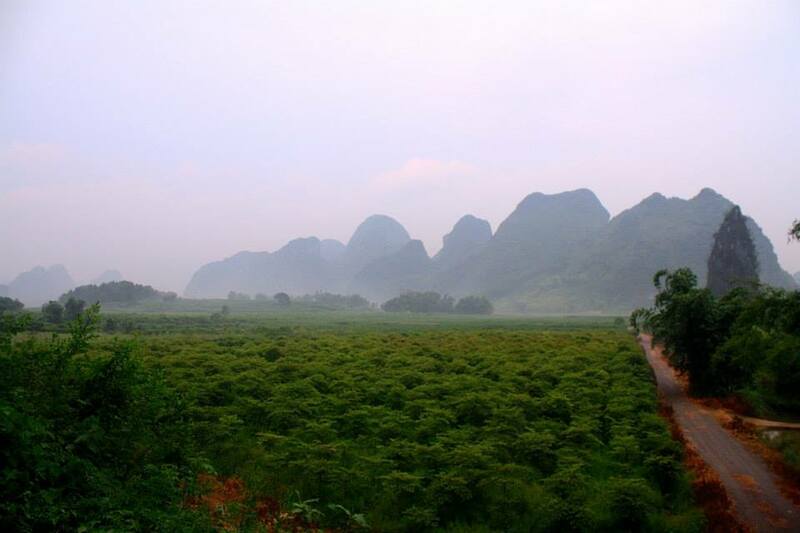 For those who want to practice speaking the language, we have included a pronunciation guide and a helpful phrases section. 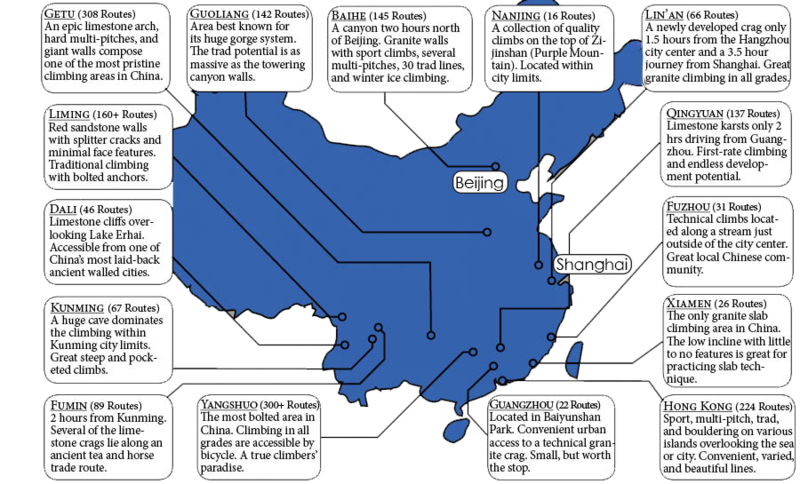 Key restaurants, hotels, and non-climbing attractions are highlighted in each area. 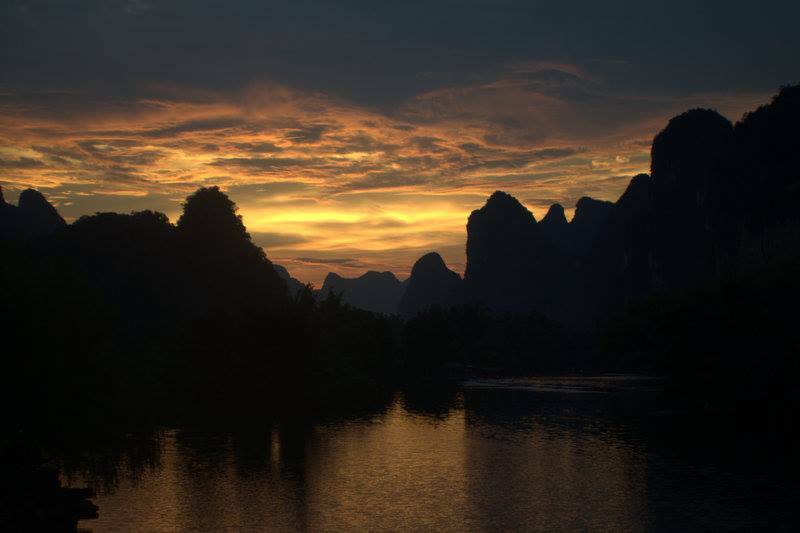 The guidebook also has vital information relating to visas, emergency numbers, transit, and GPS coordinates for most important locations. 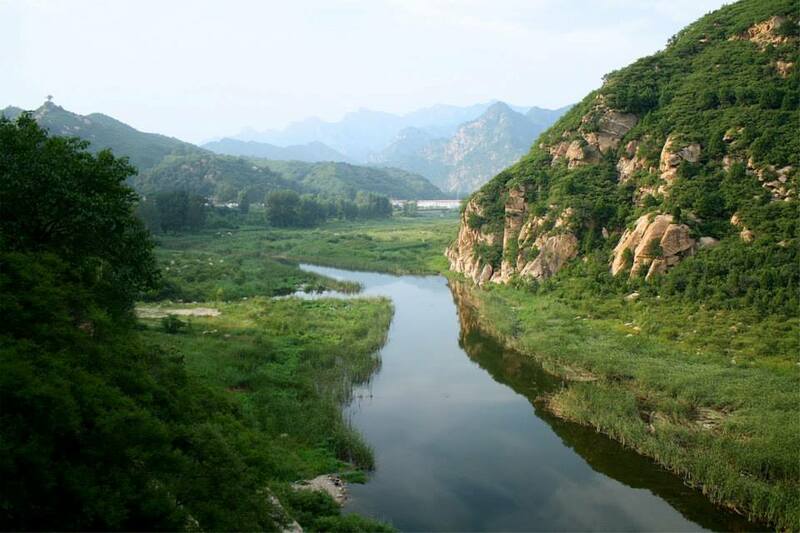 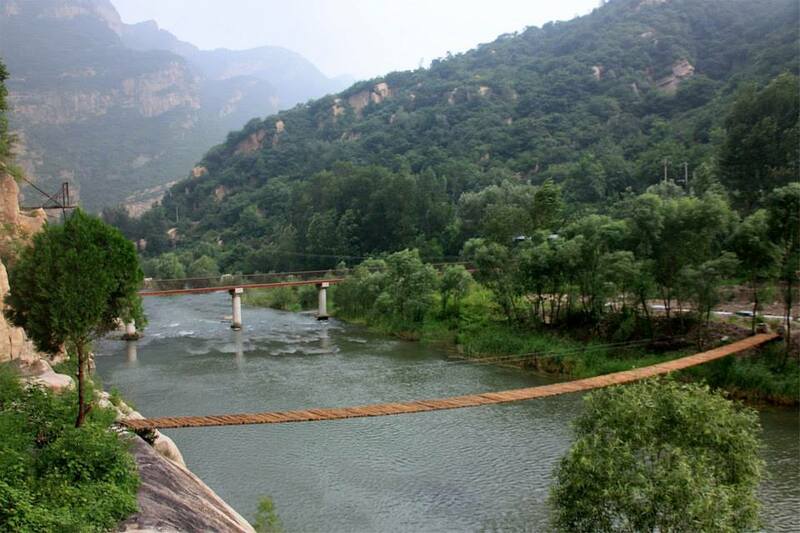 Baihe, meaning "white river", is about two hours north of Beijing and has an array of granite blocks towering over the river valley. 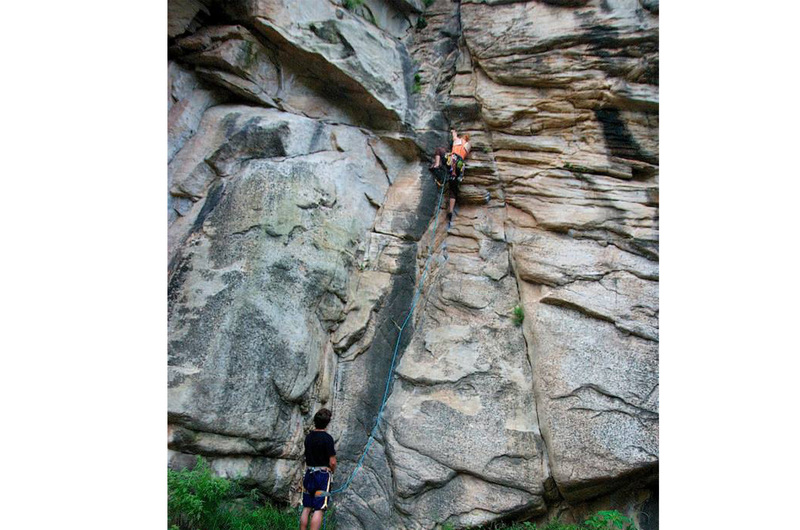 Most climbers in Beijing go to Baihe during weekends when the weather is mild. 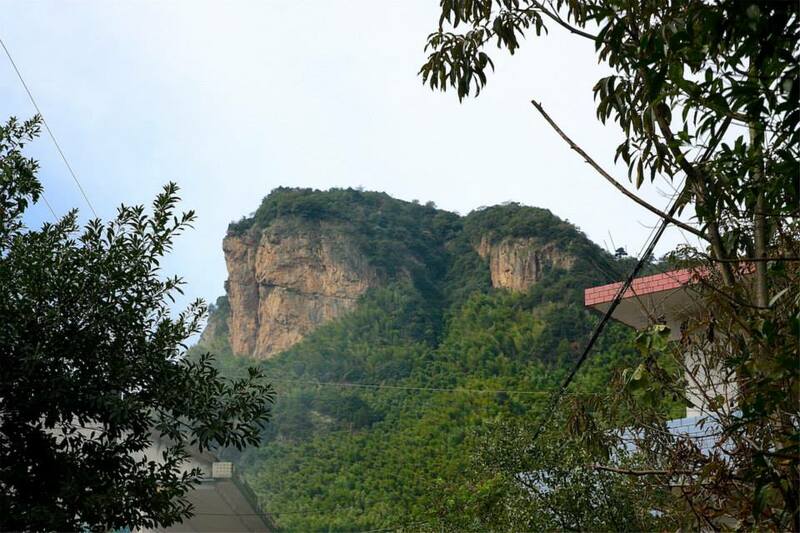 There is a ton of rock to be climbed and the rural, small village atmosphere makes Baihe a great place to unwind. 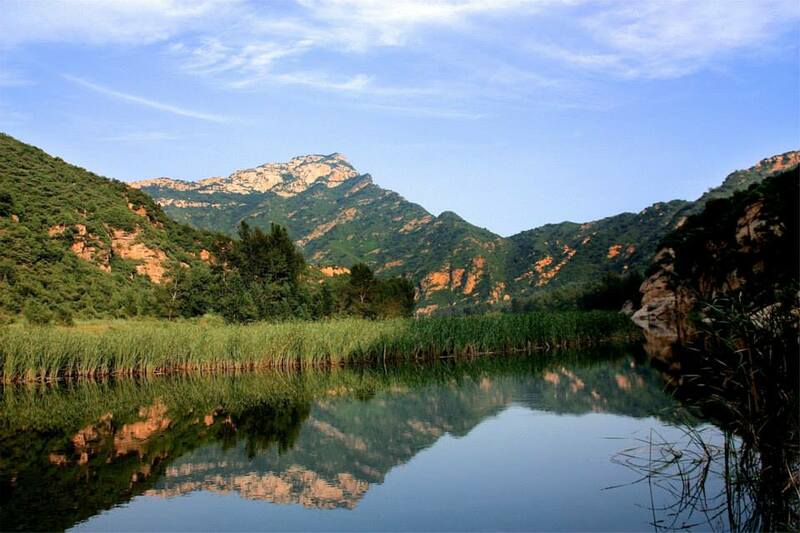 Guoliang, located in northern China, is about 6 hours south of Beijing and contains some of the most inspiring rock in the Middle Kingdom. 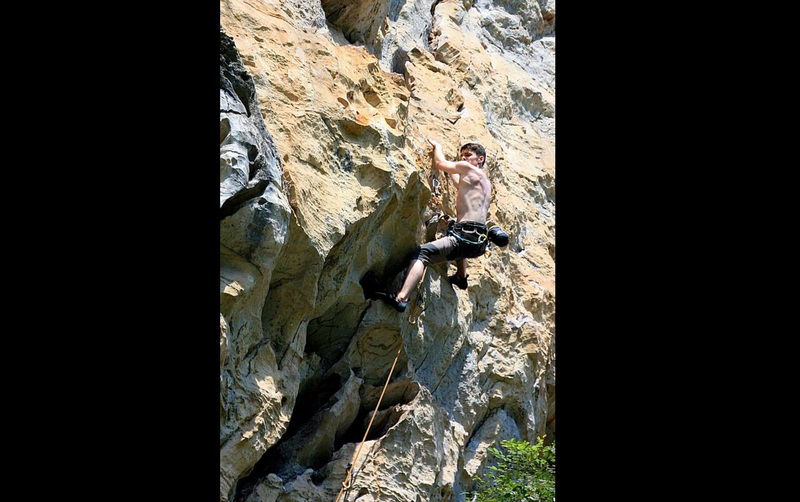 Relatively off the radar for climbers, the area has a large selection of sport climbs and a good number of traditional lines that have not seen their first ascent. 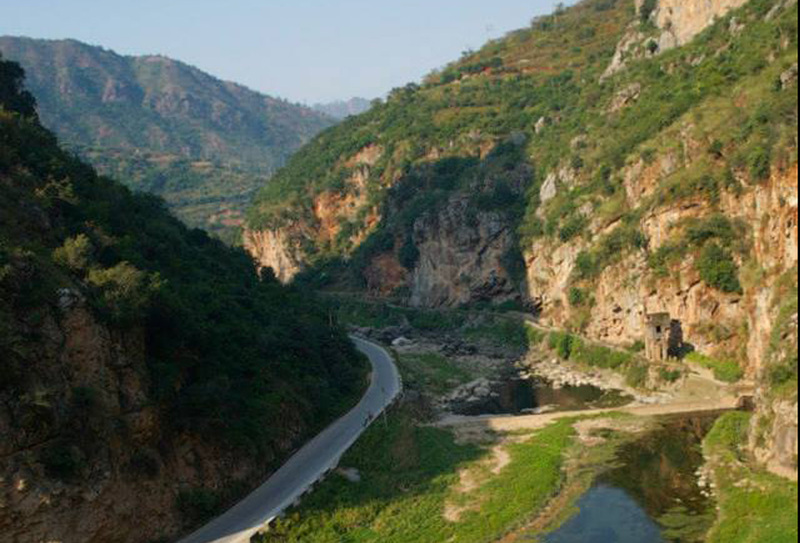 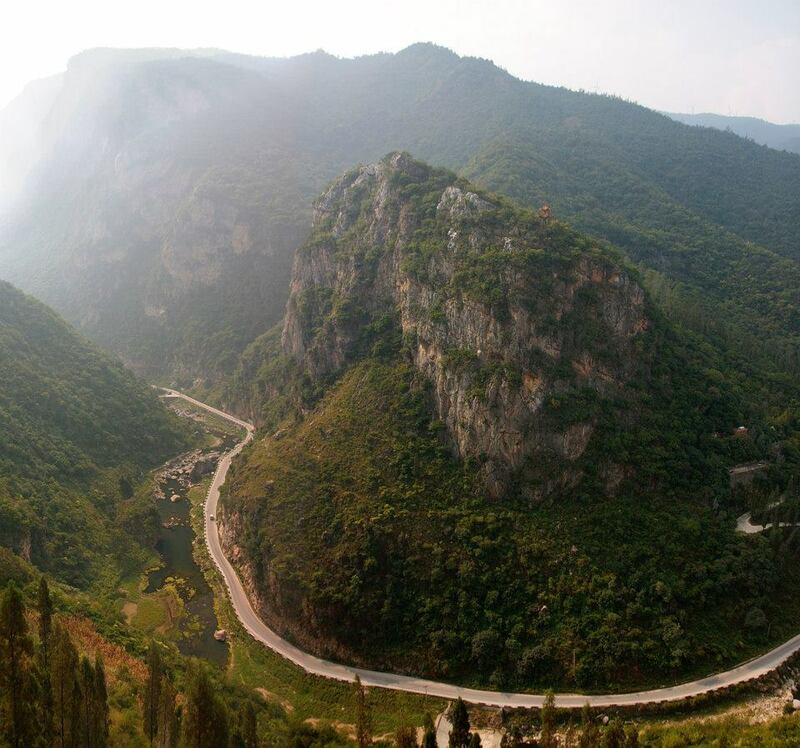 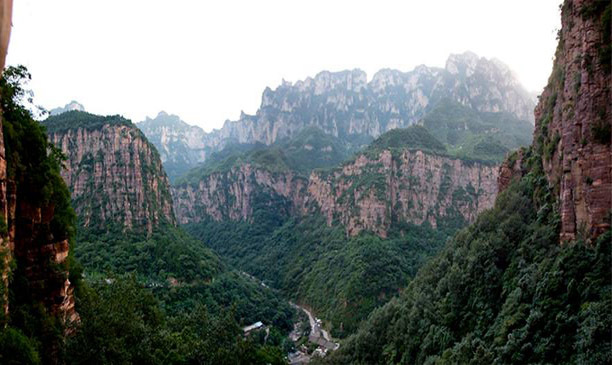 The climbing area is located in a national park that contains the Guoliang Tunnel, a tunnel that was initially handmade by the locals to connect the remote village to the rest of the world. 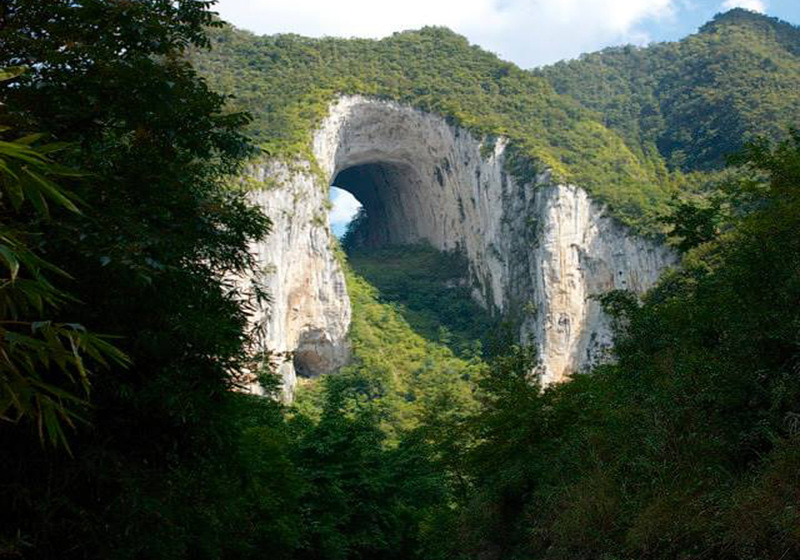 This tunnel attracts tourists from all over China. 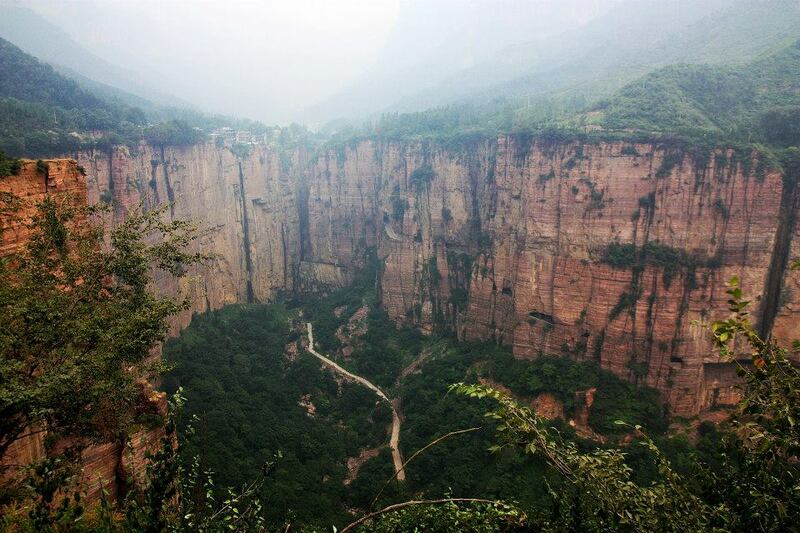 With its awe-inspiring collection of cliffs that wind for kilometers, Guoliang's appeal makes perfect sense. 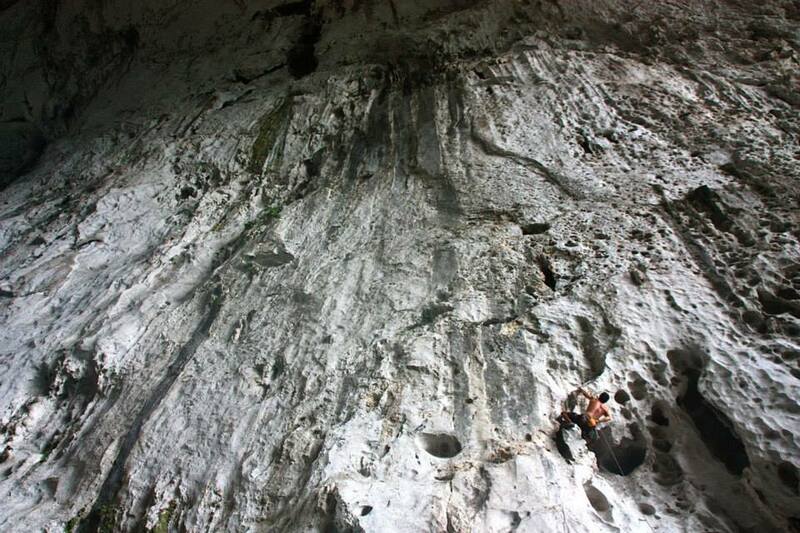 Qingyuan is quickly becoming one of the best places to climb limestone in southern China. 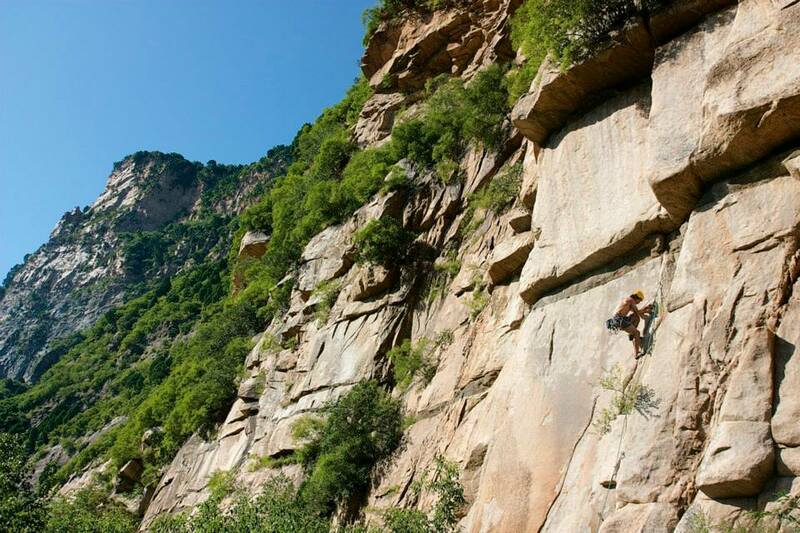 Only 3 hours from Guangzhou and 4 hours from Hong Kong, Qingyuan offers great climbing in a rural village setting. 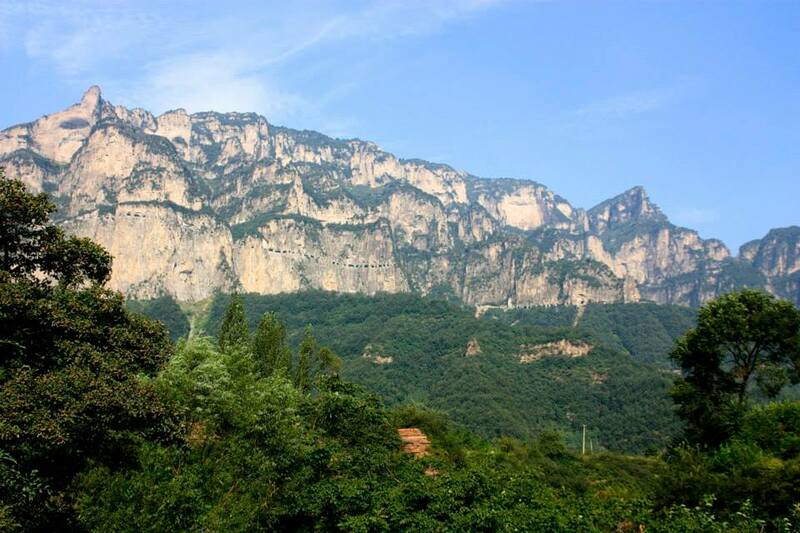 While Qingyuan is still in the beginning stages of development, a number of new routes have been bolted by local climbers. 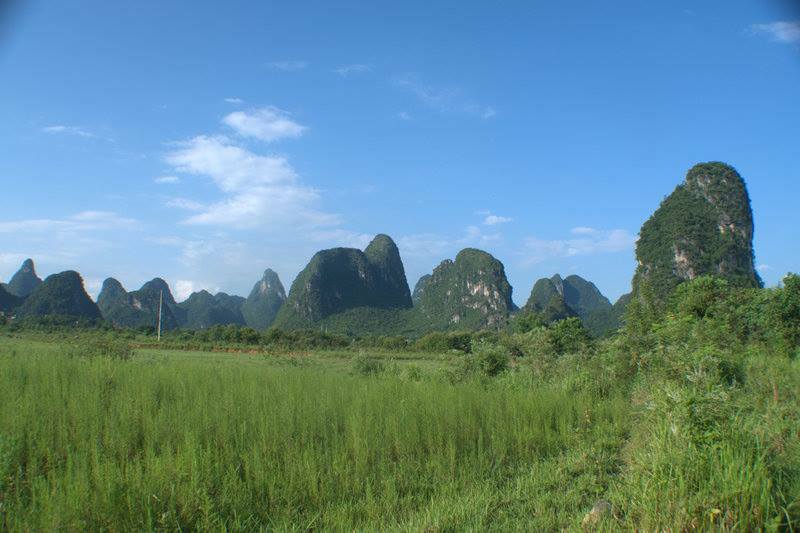 If a quiet location with great limestone appeals to you, head to Qingyuan. 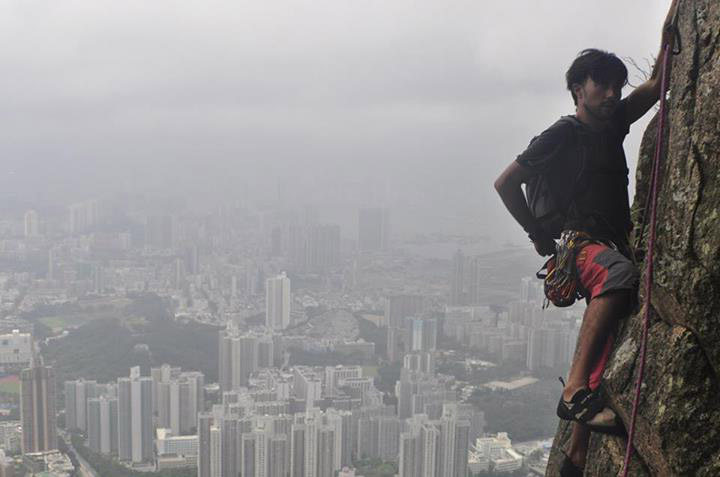 Hong Kong may be known as a bustling and crowded city, but in actuality, it is a climber's paradise. 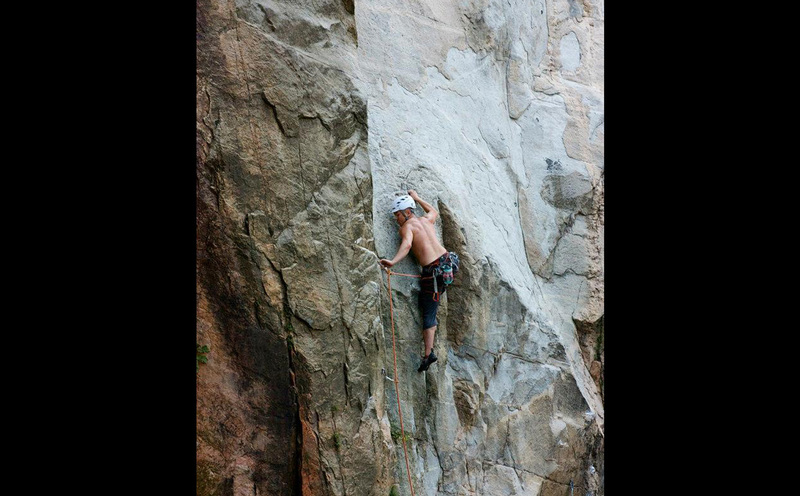 The city is built on steep cliffs, and there are over 200 climbing lines within city limits. 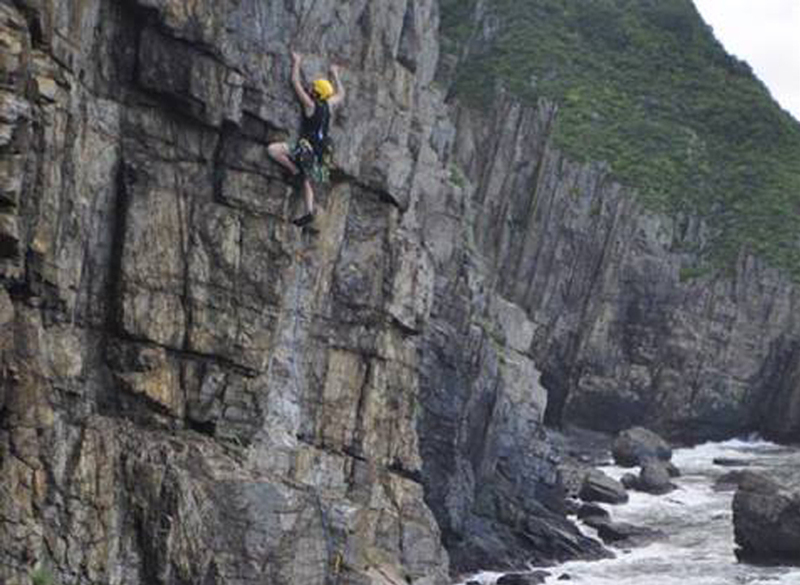 Farther out from the city center, HK's seaside crags are known for technical climbing and stiff grades. 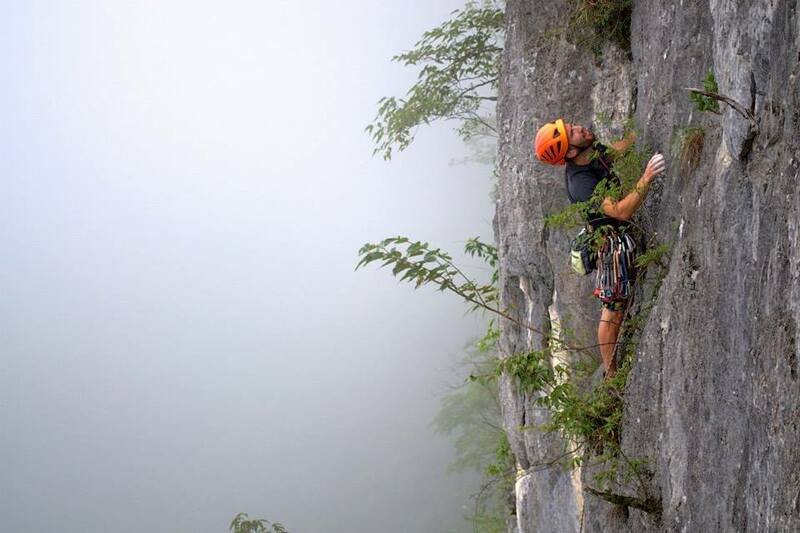 The guys at hongkongclimbing.com offer the latest information on the area and are a great resource for climbing material. 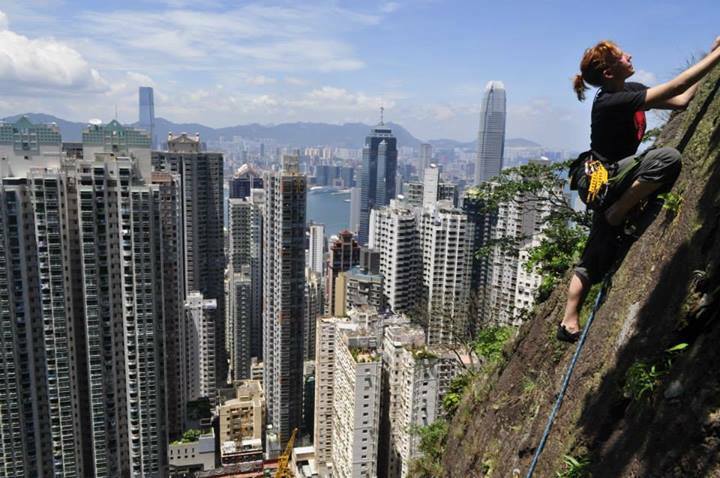 Don't miss the chance to climb in Hong Kong; you will regret it! 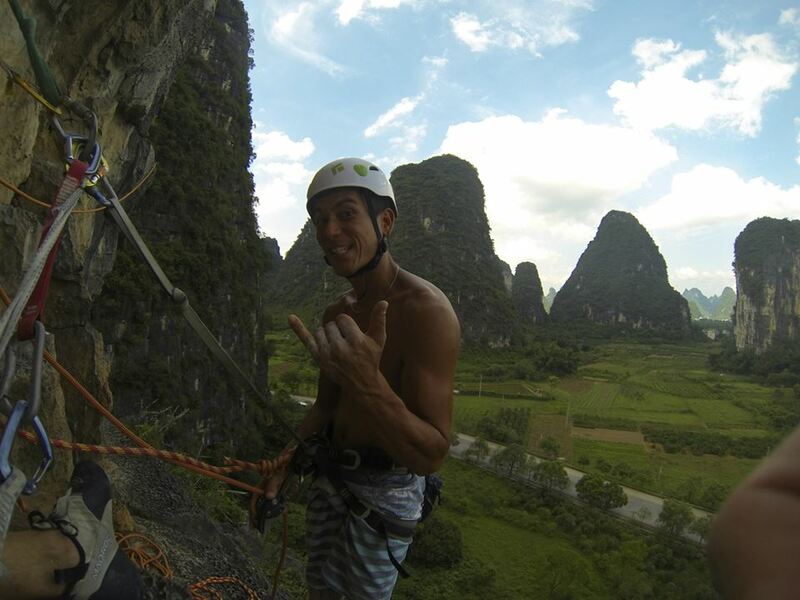 If there is a place in China made for climbing, Yangshuo is it. 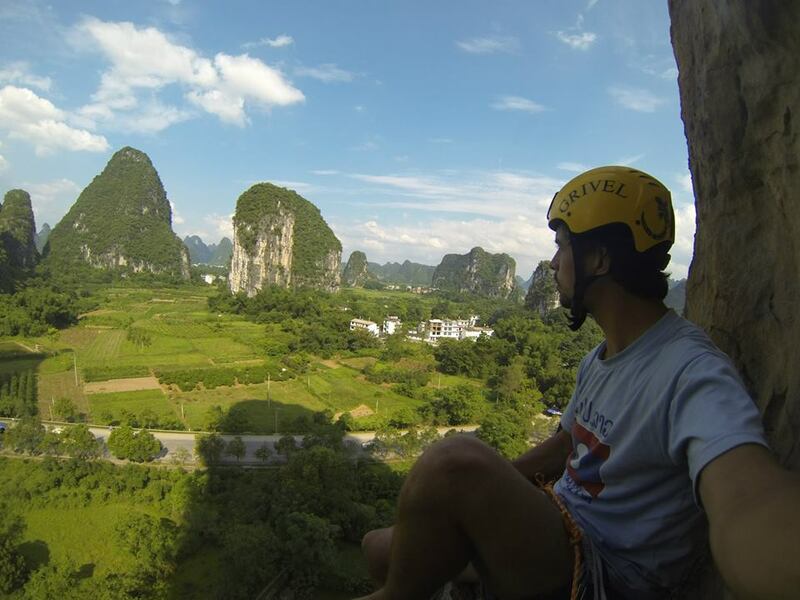 The karst topography makes the area perfect for limestone climbing. 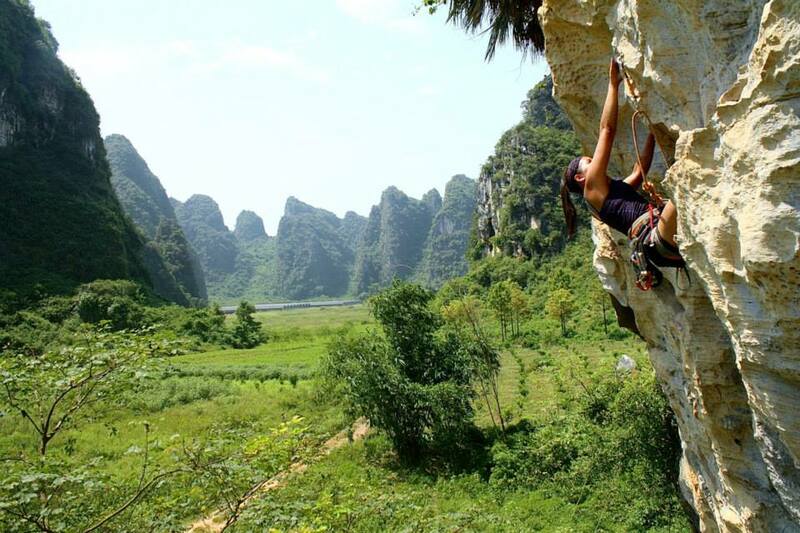 With a vibrant climbing community and easily accessible crags (by bike), Yangshuo is the center of climbing in China for good reason. 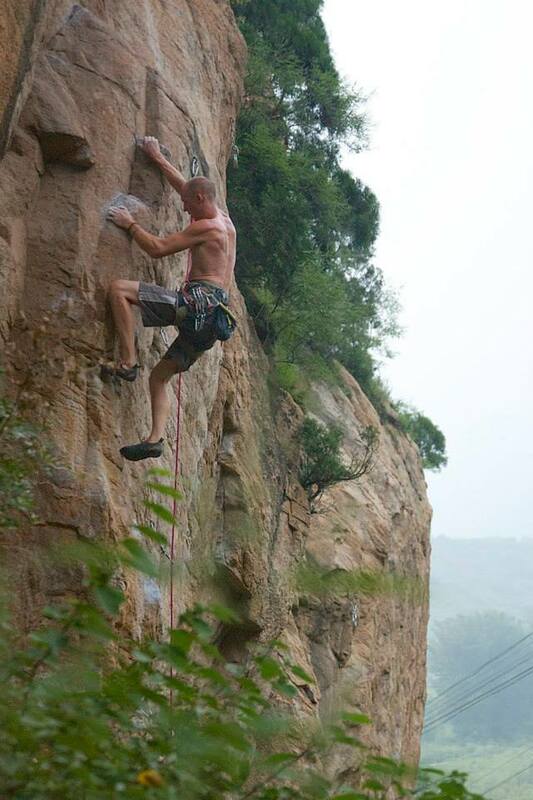 Tucked on the hillside of a city park, the major metropolis of Guangzhou has a hidden climbing location. 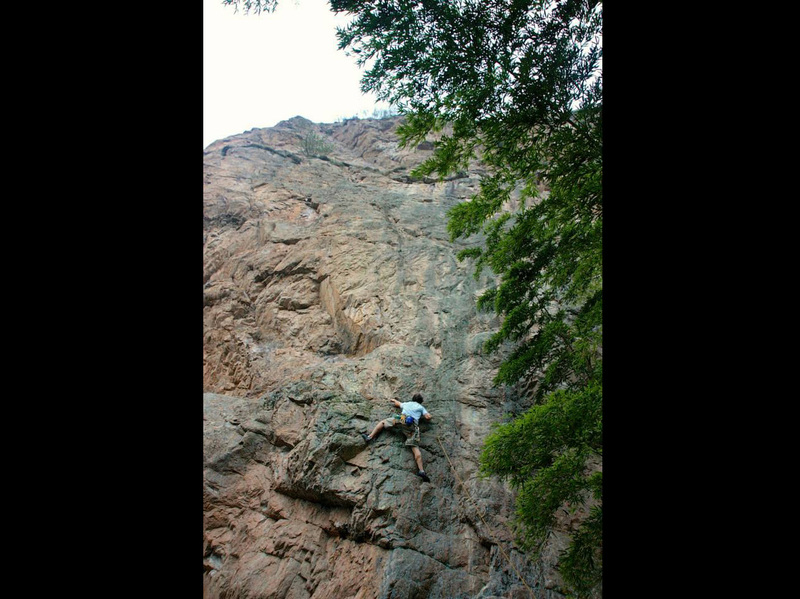 While the crag can be a bit difficult to find, those of you who are adventurous will enjoy the challenge, and the reward is a great day of climbing. 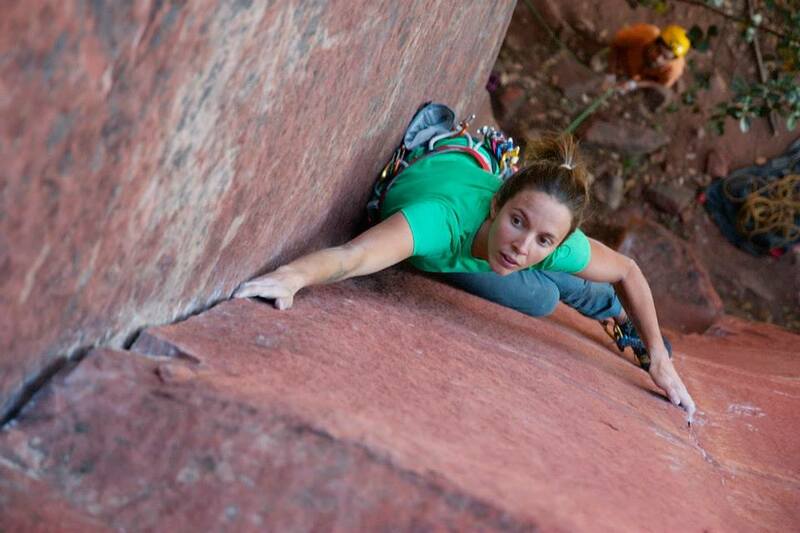 The climbs here are not long, but engaging sequences and memorable moves certainly make up for it. 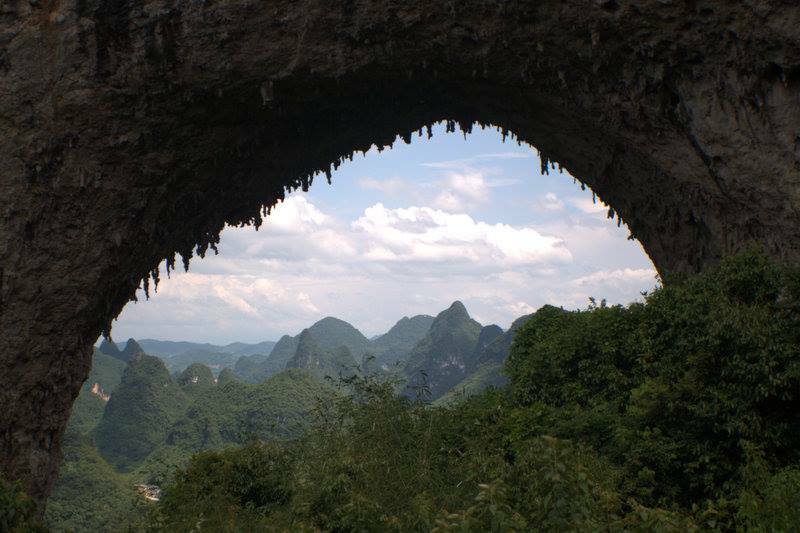 In the far reaches of the Guizhou province lie massive limestone arches and features that one needs to see to believe. 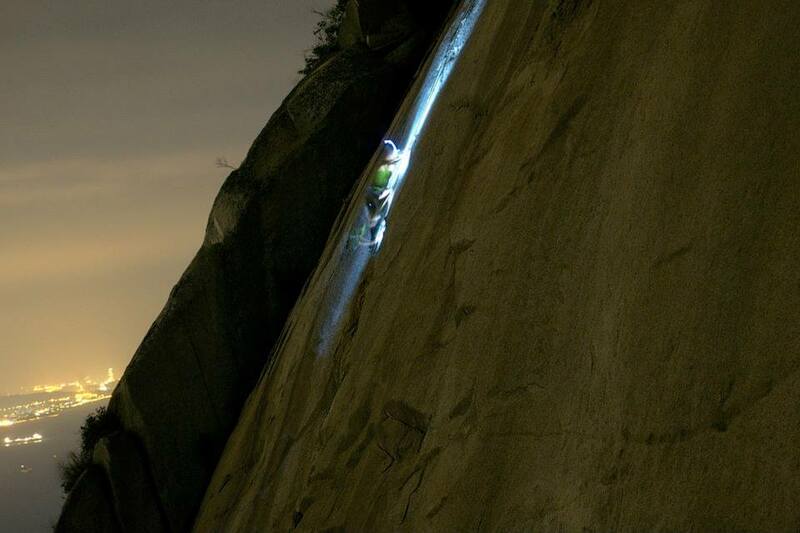 A few visionaries transformed this location from a geological oddity into a climber's dream. 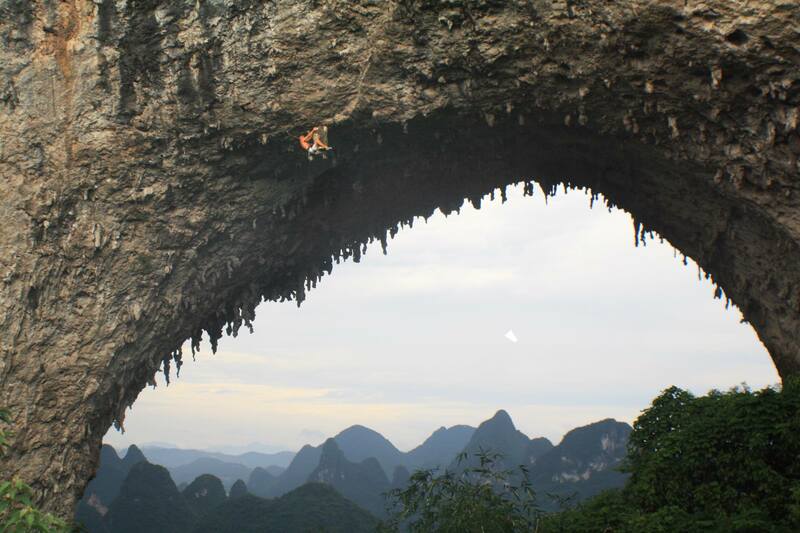 This is one of the the only locations in the world where massive arches, long multi-pitches, and unforgettable climbing can be found within one square mile. 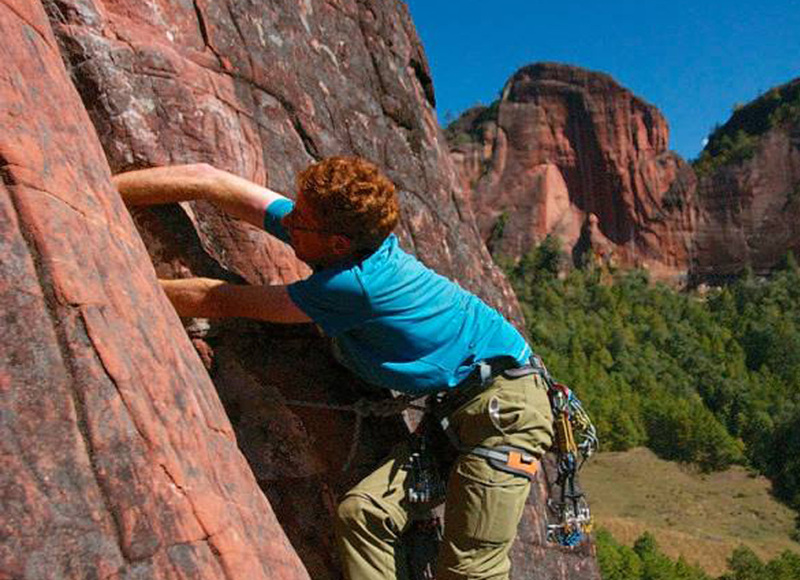 In 2011, Petzl sponsored a Roc Trip that led to the development of over 300 routes. 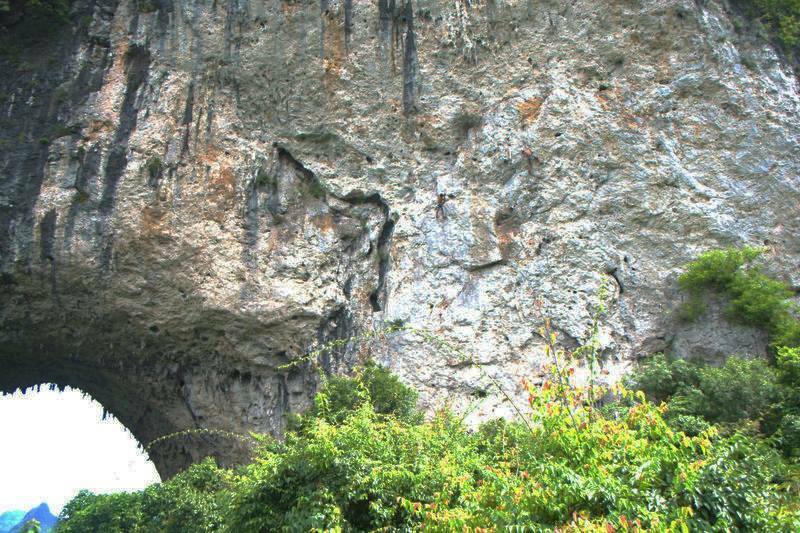 Today, the government is making major moves to turn this location into a tourist hotbed. 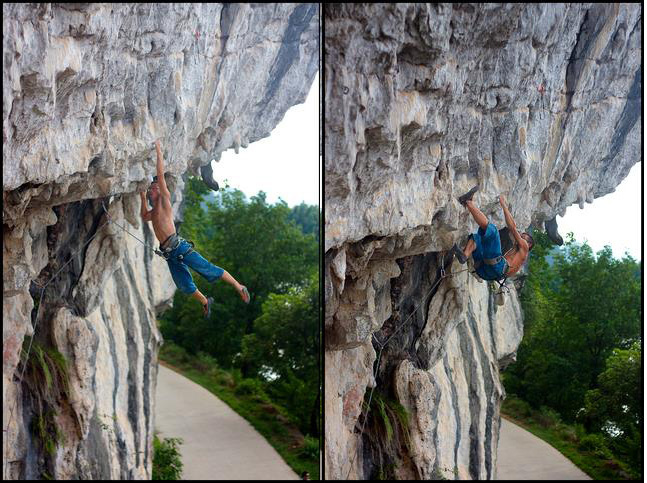 Many of these modifications will permenantly change the face of the rock. 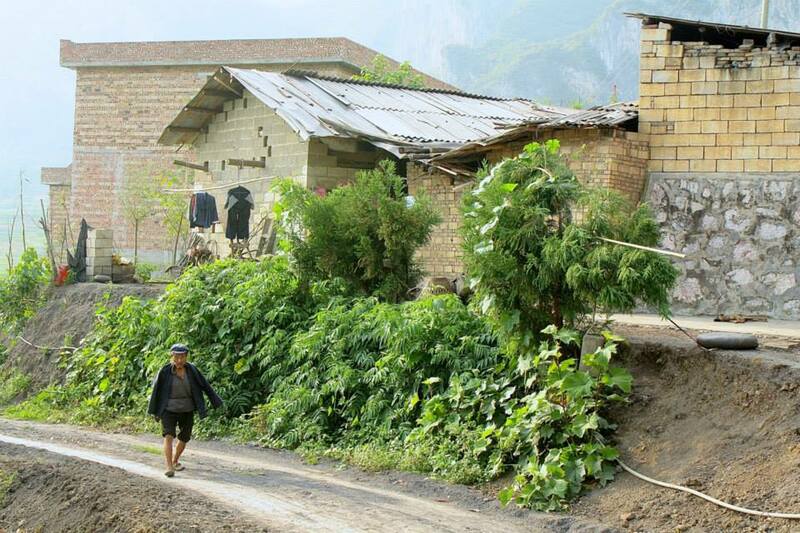 As time goes on, the rural experience that Getu once offered will fade away. 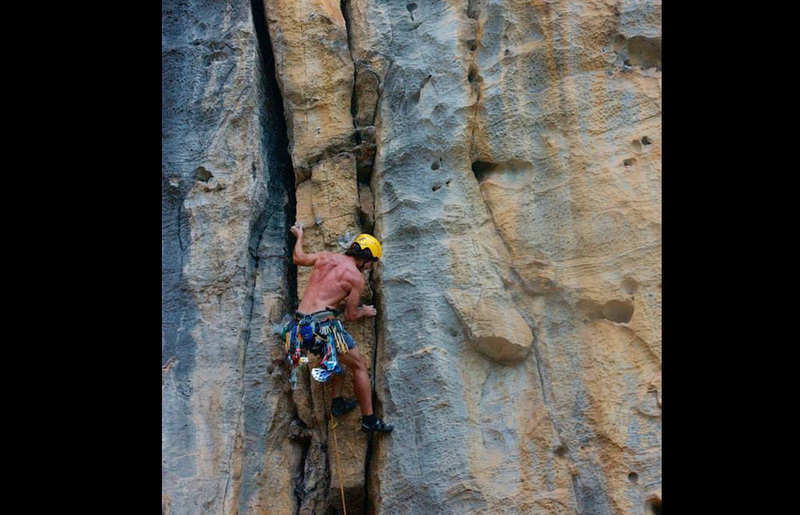 For more information and to support the cause, check out Alberto Selmin's article. 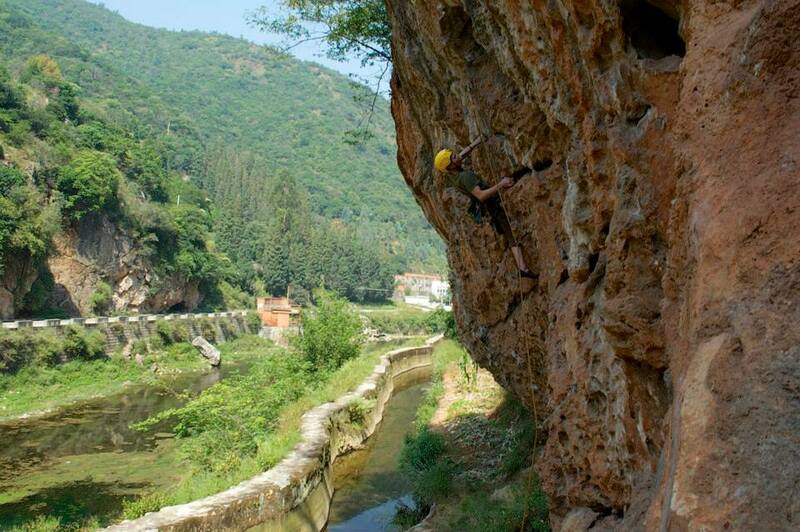 Fuzhou offers creekside climbing that is accessible by public transportation, and the petite, vertical walls provide climbers with an intense, crimp-tastic experience. 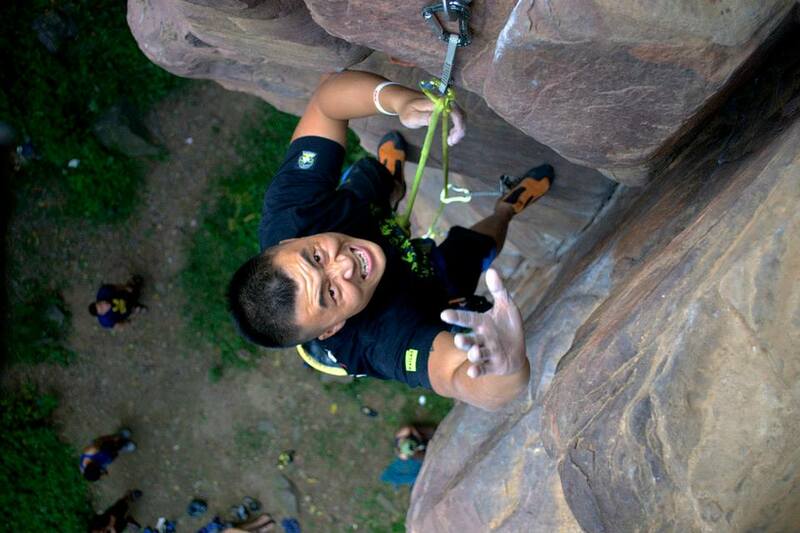 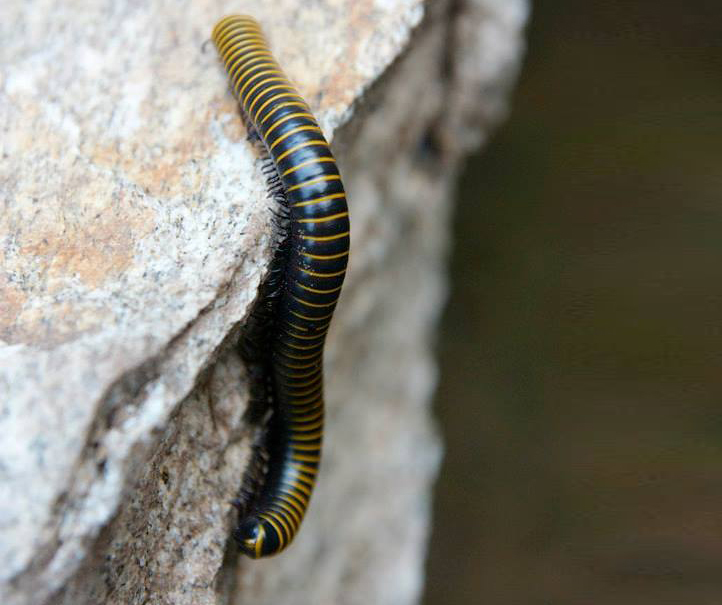 The local climbers are friendly, and the area has seen very strong growth in a short time. 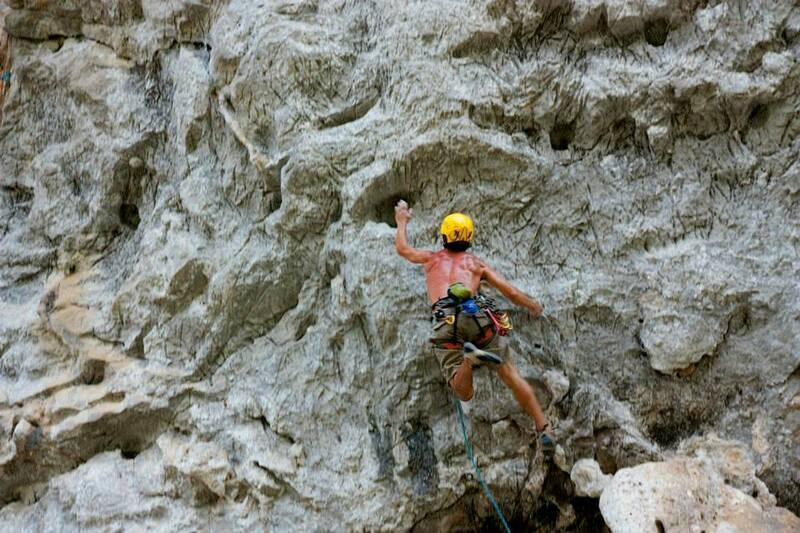 After a long day of climbing during the warmer months, there is nothing more rewarding than a dip in the creek. 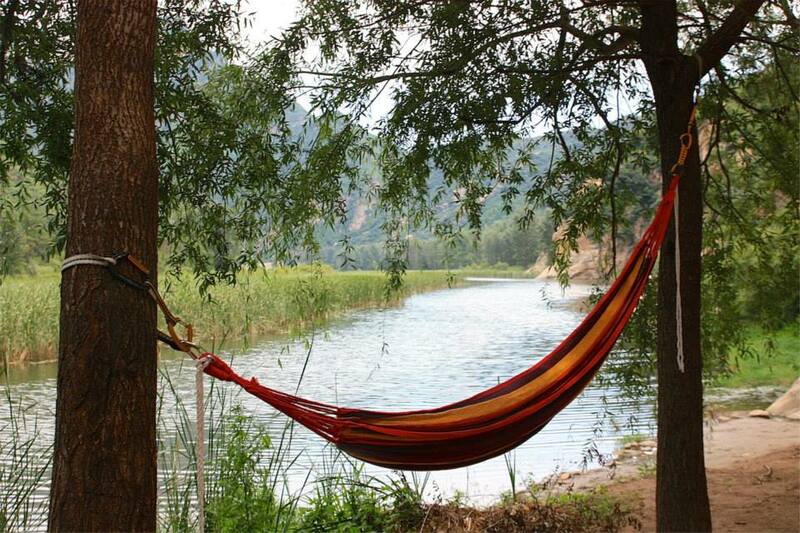 Don't forget to bring your swimsuit! 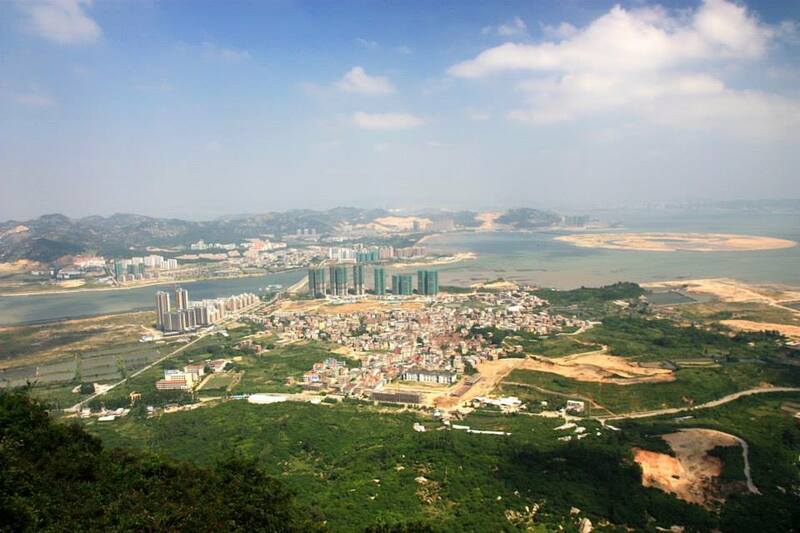 For tourists, Xiamen's main attraction is its beaches and somewhat tropical flair. 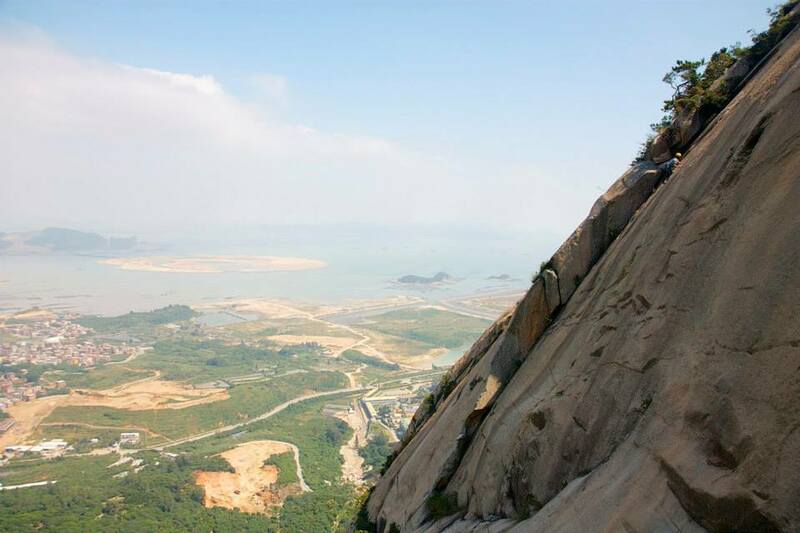 Unbeknownst to most, the city is the center of granite slab climbing in China. 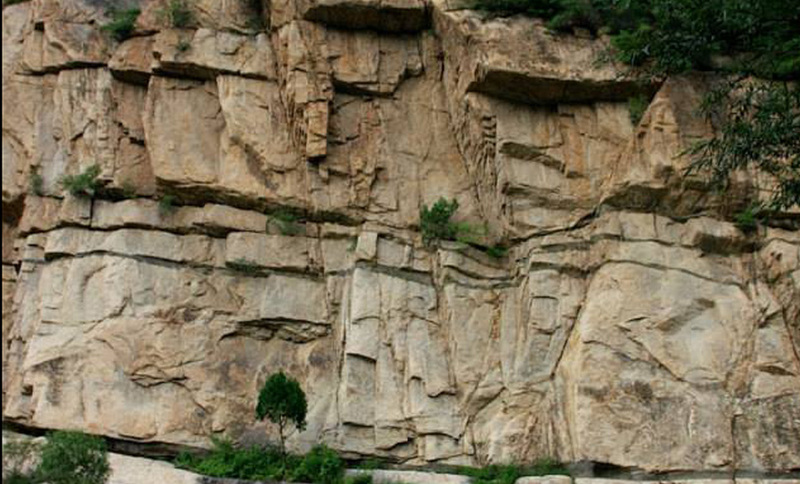 One hour south of the city, a mammoth wall of granite is in its beginning stages of development. 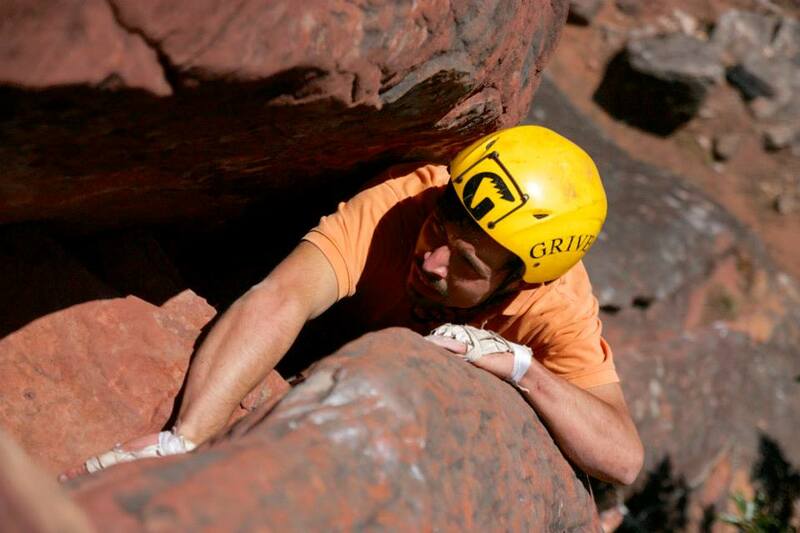 This area is a phenomenal place to work on slab technique. 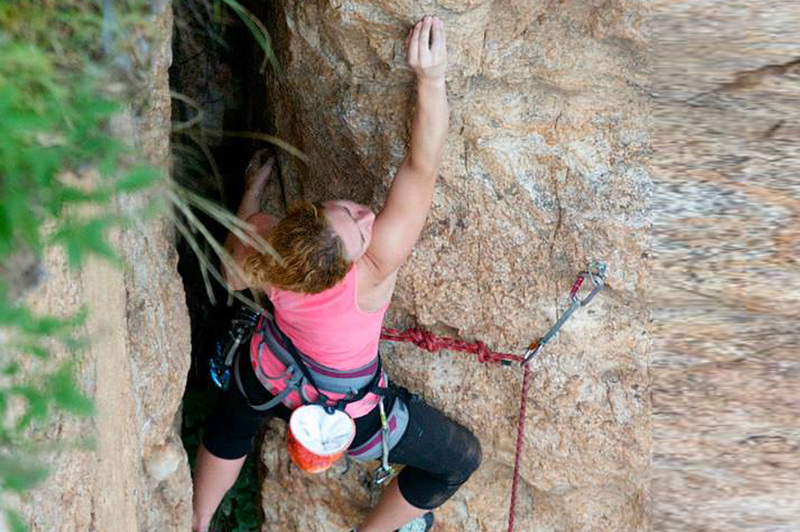 The featureless, low angle wall will boost your confidence and balance in all the right ways. 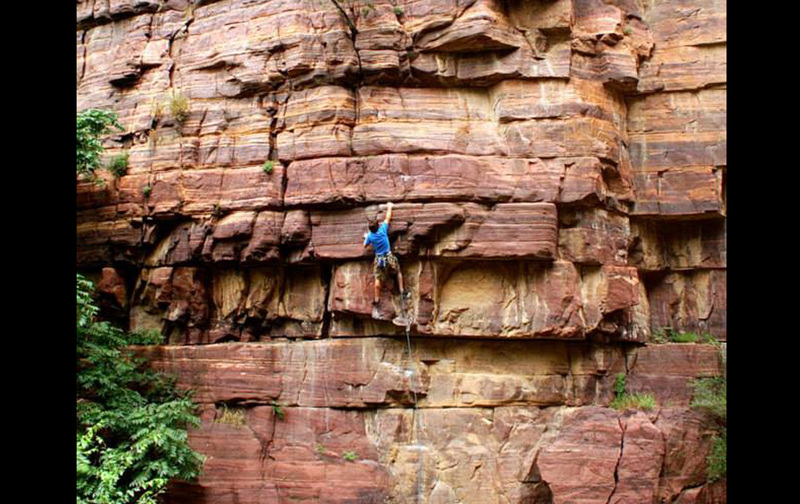 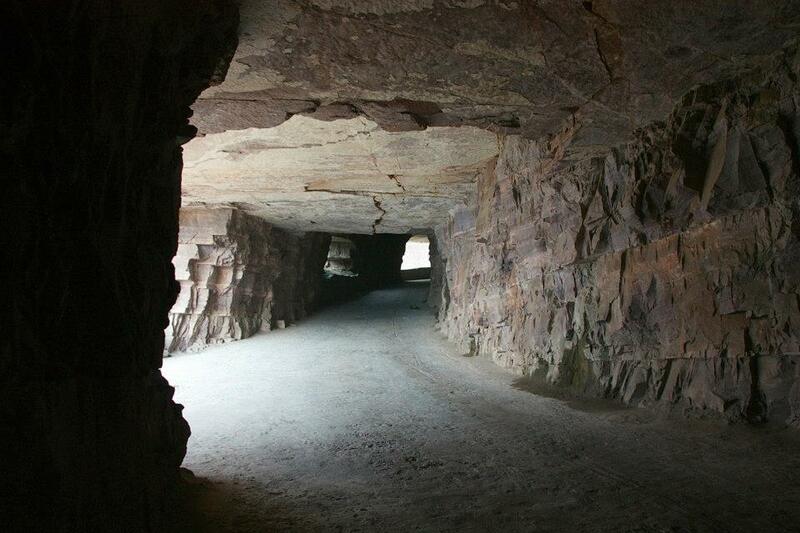 Three hours south of Shanghai, Lin'an provides great climbing for those who want to escape the city. 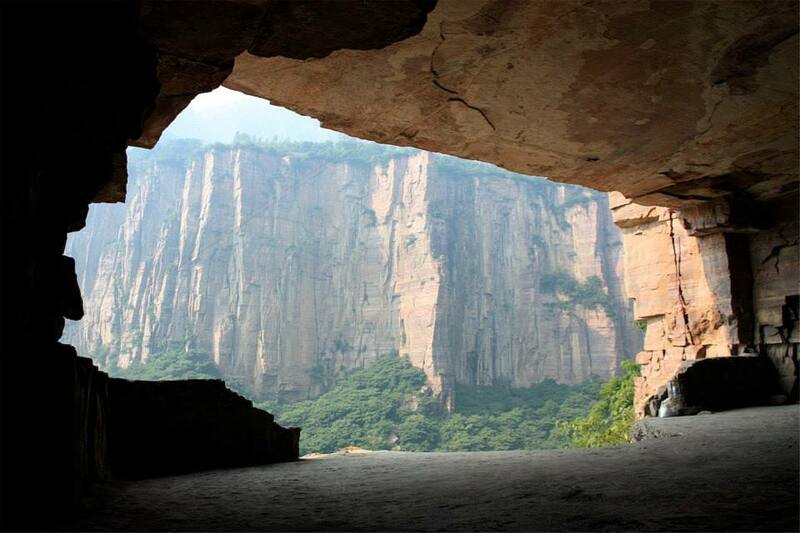 Lin'an was put together through the hard work of a few developers and has become a premier climbing location. 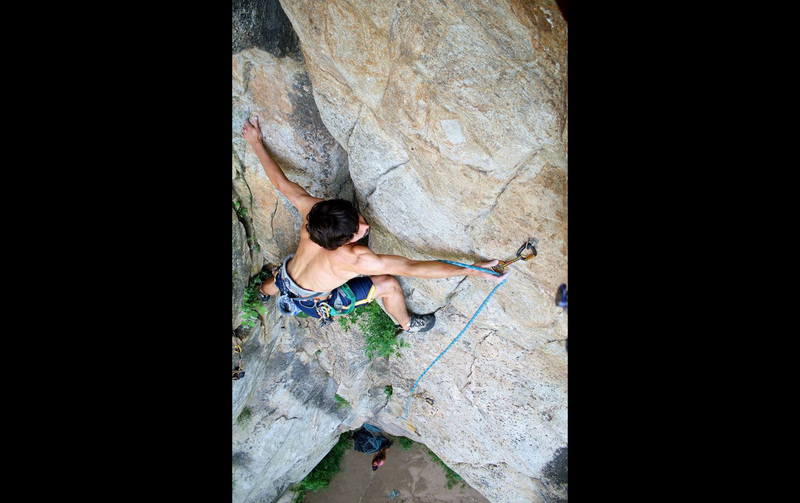 The development is so rapid that the number of climbs is expected to double in the next few years. 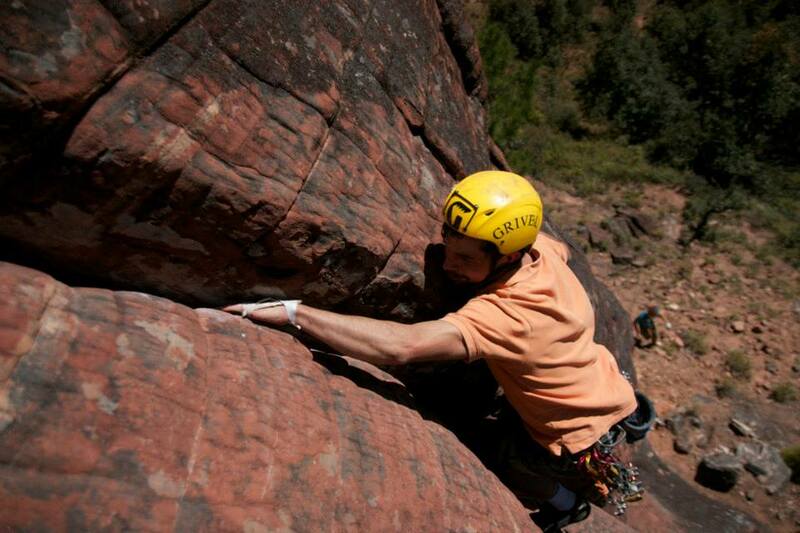 Even though there are crowds during nice weekends, there is plenty of rock to go around. 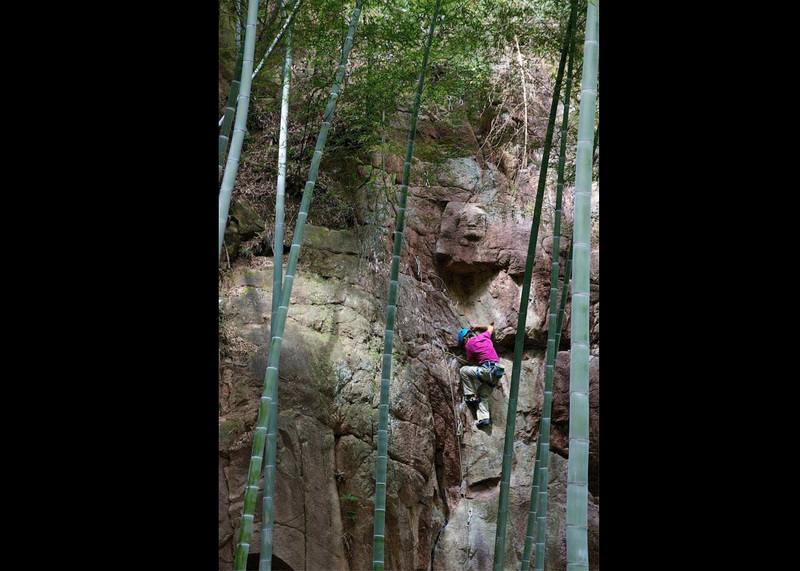 Located at the top of a popular city park, the crag at Nanjing is a nice respite for climbers looking to spend a day outside. 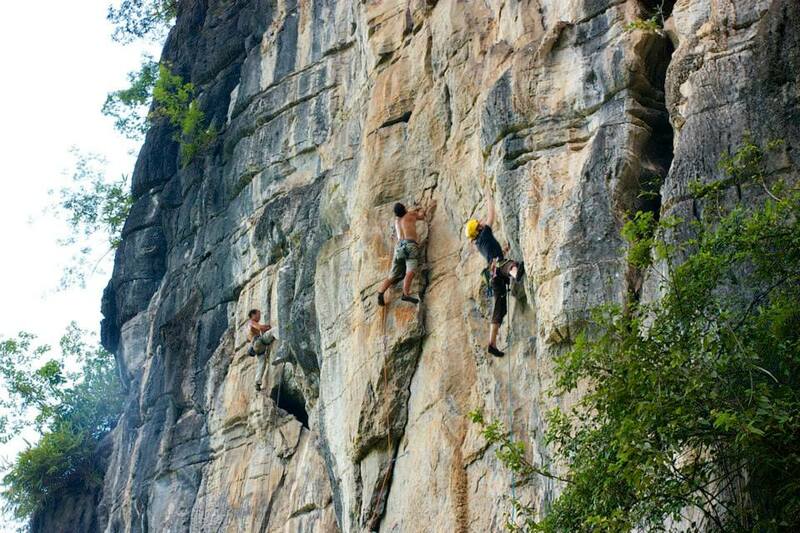 The locals have been coming here for years to escape the gym, and while the climbs are short, there are routes for climbers of all levels. 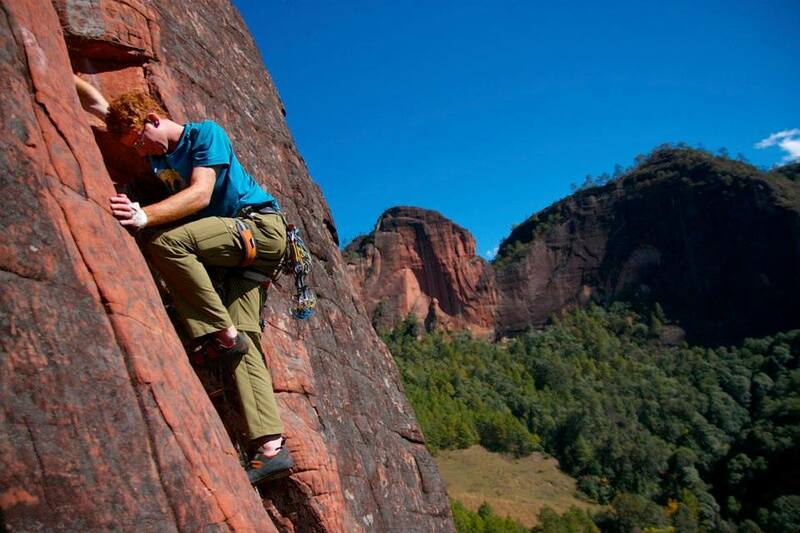 Located in the Yunnan province and overlooking the idyllic Lake Erhai, the climbing at Dali is outstanding. 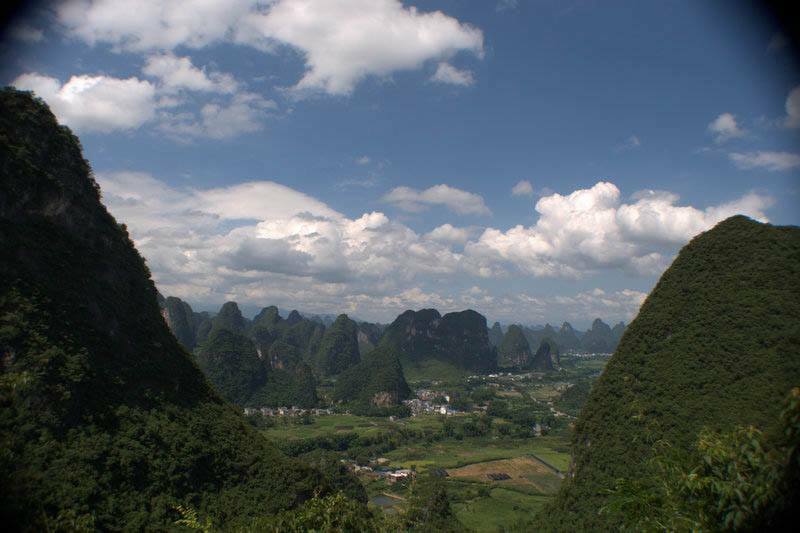 In addition to great climbing, the old city of Dali offers weary travelers a taste of home in the form of Western-style food and bars. 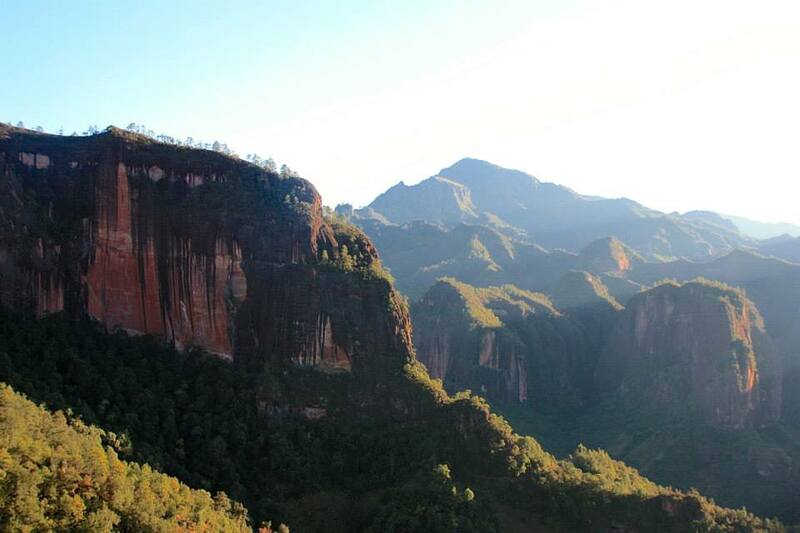 A welcoming atmosphere, great coffee, and amazing vistas make Dali the perfect place to rest your body and mind. 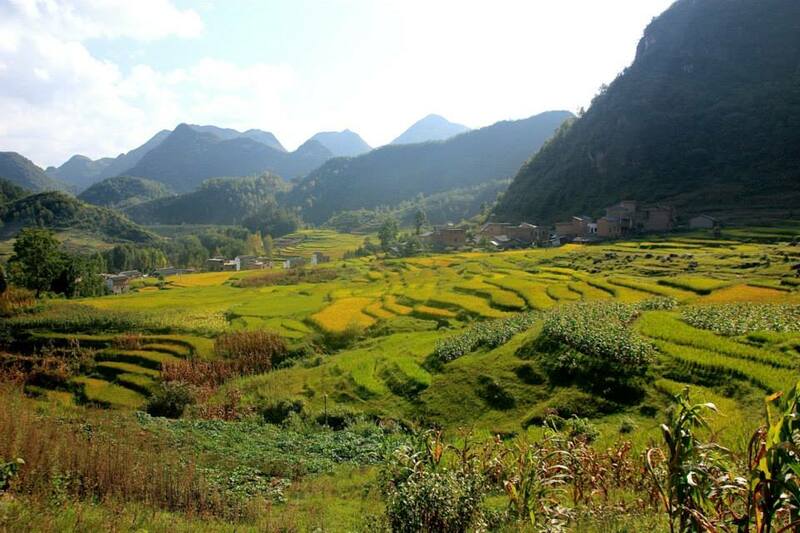 While the capital city of the Yunnan province is quite beautiful, a true outdoor enthusiast won't say no to a day or two out of the city. 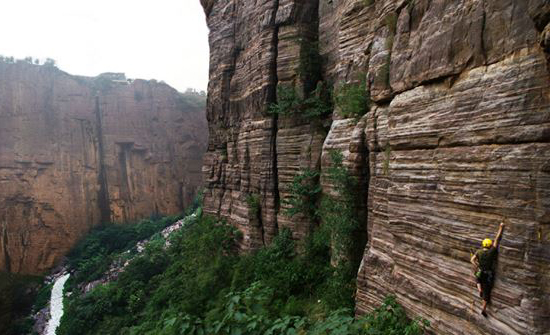 Accessible by public transportation and within an hour of the city, huge walls and a massive cave with overhanging climbs are sure to impress. 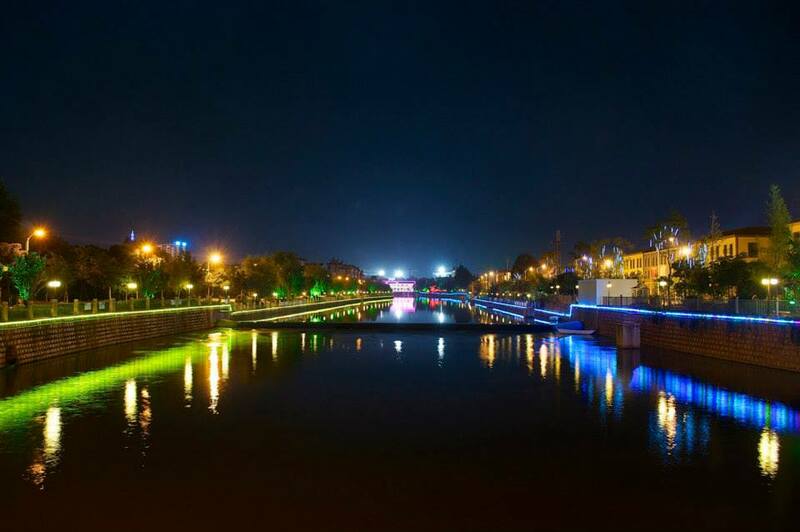 In the past 5 years, development in the area has exploded. 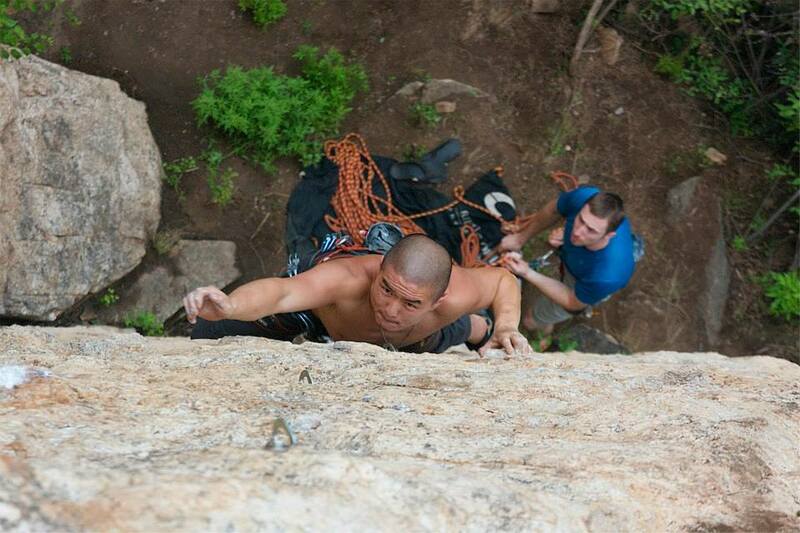 New routes are being added weekly by the guys over at kunmingrock.com! 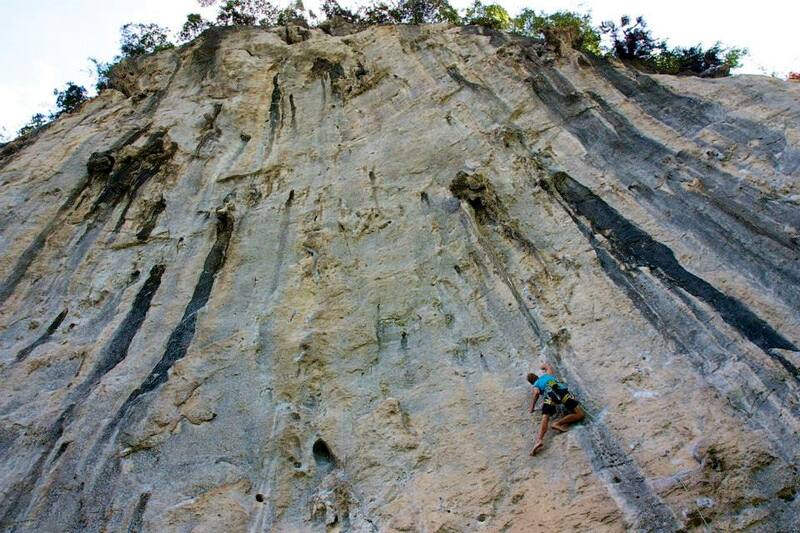 If you want to get your crack climbing on, Liming is the place to be. 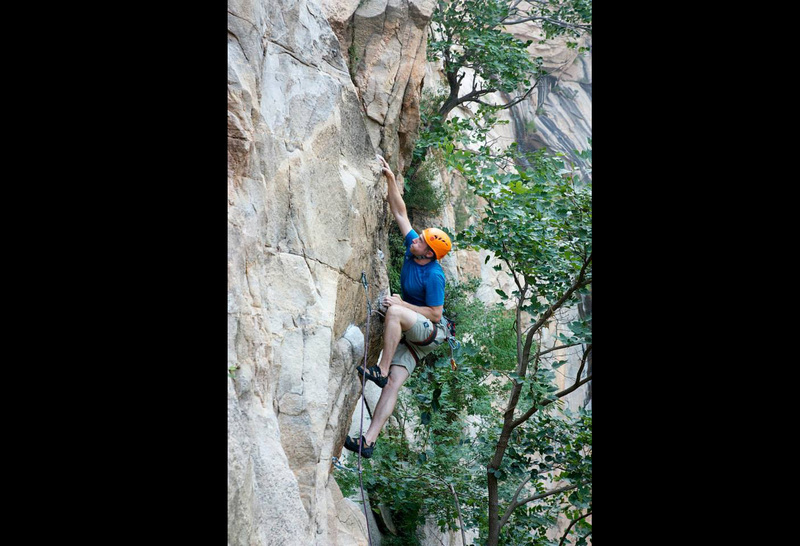 The area offers climbers access to high-quality traditional climbs with diverse moves. 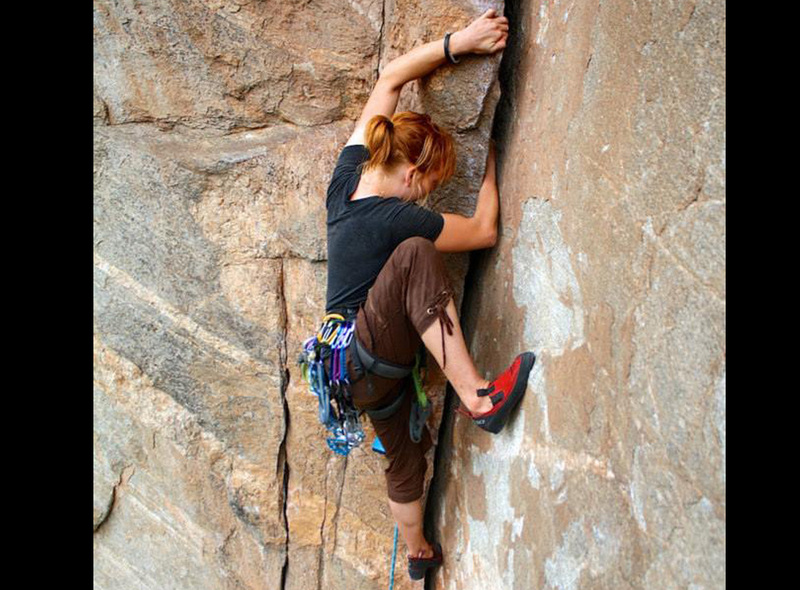 On one climb alone, you can find off-width, hand cracks, and delicate features that require the utmost balance. 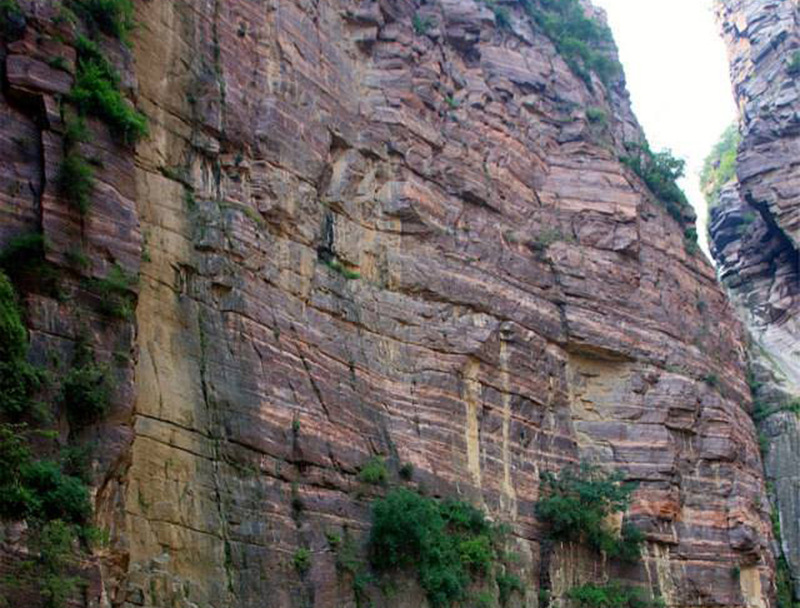 The slew of international climbers Liming attracts is a testament to the hard work a few people have put in to make it the epicenter of traditional climbing in China. 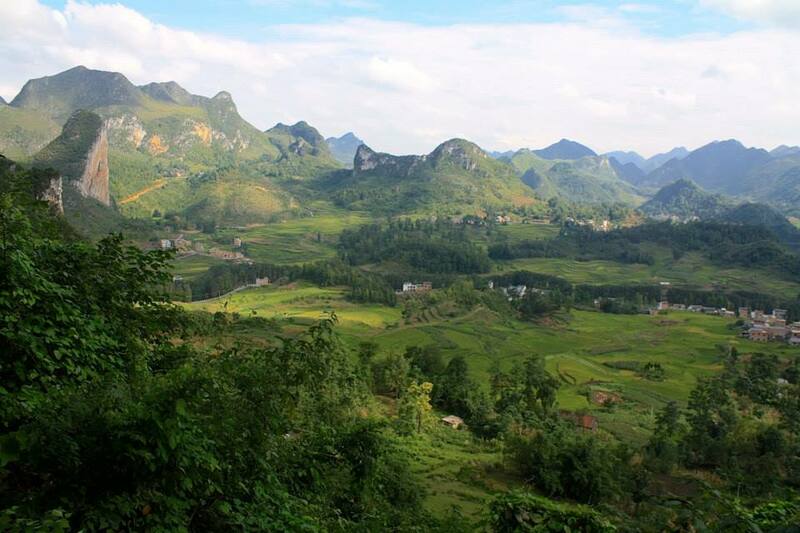 Fumin is a small, sleepy city 3 hours outside of Kunming. 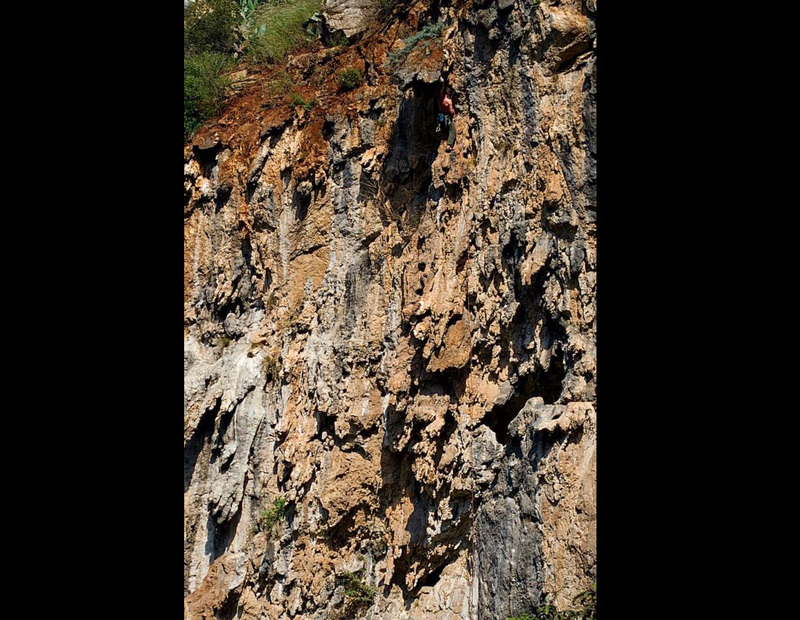 The only foreigners that the locals see are climbers, and they still react as though they are seeing foreigners for the first time (for many, it really is their first time!). 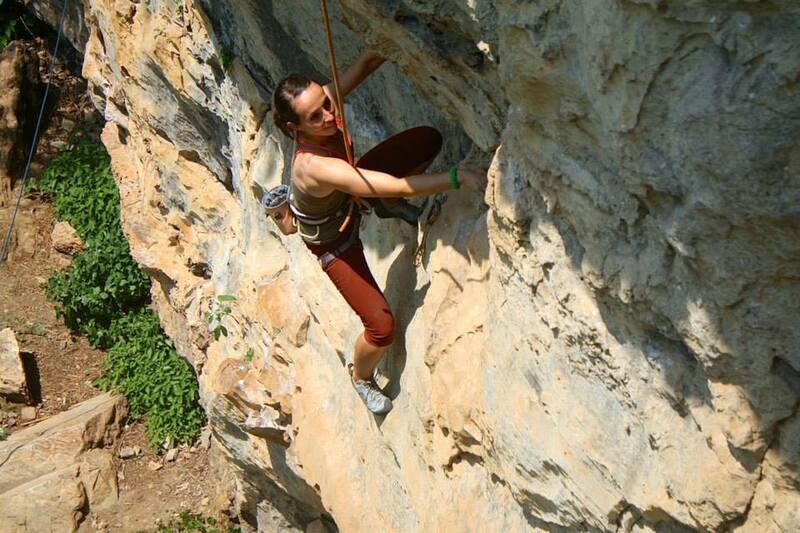 Fumin offers a great collection of varied limestone climbing. 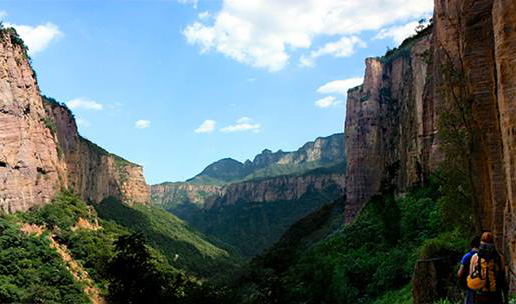 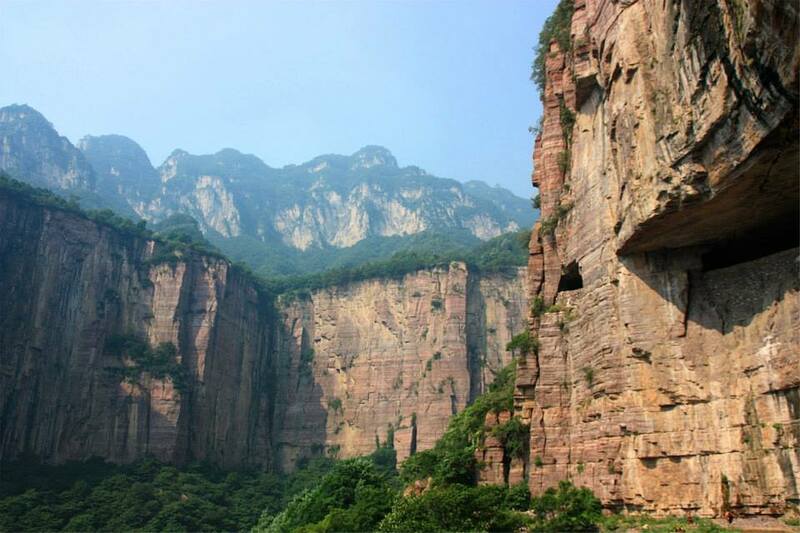 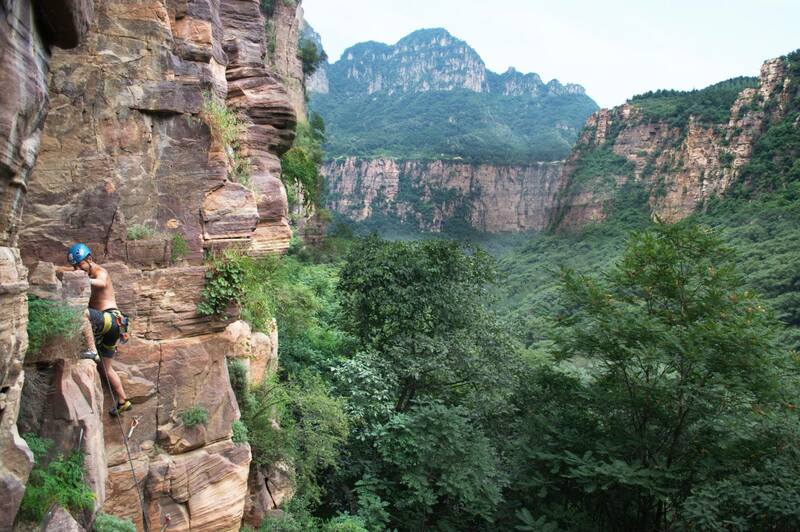 Some crags have massive tufas and overhanging walls comparable to those in Tonsai or Yangshuo. 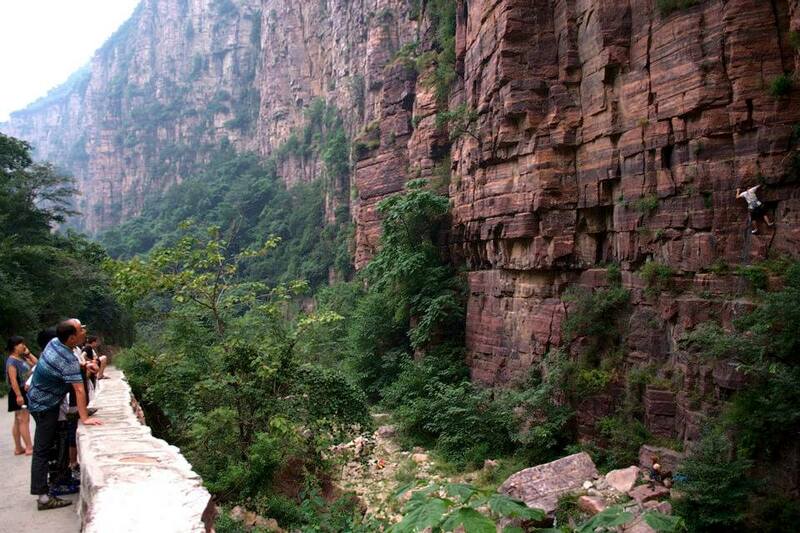 Fumin is a great place to spend a weekend or a few days.